Welcome to JSA Financial Services Pty Limited (formerly Matrium Financial Services Pty Ltd). In 2018, Matrium FS combined with the JSA Group to provide a broader and more extensive range of financial services offerings, whilst remaining under the Clearview/ Matrix Dealer Group arrangements. Our philosophy is to provide personalised strategic advice that will deliver reliable outcomes and foster rewarding long-term relationships with our clients. Whether you are just starting out and looking to create wealth for the long-term or planning for your retirement, our team at JSA are well placed to help you reach your goals. The focus of our advice is to assist our clients to achieve their lifestyle goals and objectives through quality strategic advice. As an important part of your journey, we also believe it is our responsibility to provide you with ongoing financial education. That way you won’t miss out on any opportunities to get ahead financially in the future. JSA Financial Services Pty Limited is able to assist you with any financial planning questions you may have. Feel free to contact us on 02 8861 1840. 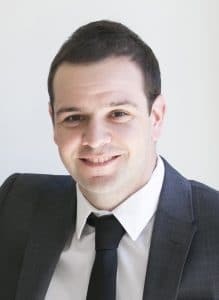 Brett commenced work with Emjay Insurance Brokers in 2002 before moving to Emjay Financial Services (which became Matrium Financial Services in 2007). In 2018, Matrium Financial Services combined with the JSA Group to provide a broader and more extensive range of financial services offerings, whilst remaining under the Clearview/Matrix Dealer Group arrangements. Brett provides specialist financial planning advice around Business Insurance (including Buy-Sell and Key Person cover), Personal Insurance, Strategic Advice, Superannuation and Investments. He has a passion for providing a high level of customer service and works closely with his clients to ensure they have the correct plans in place to protect their assets and achieve their financial goals. Outside of work, Brett enjoys playing golf and watching all forms of sport in addition to spending time with his wife and daughter. JSA Financial Services Pty Ltd (ABN 34 084 953 177) is a Corporate Authorised Representative of Matrix Planning Solutions Ltd ABN 45 087 470 200 AFSL & ACL No. 238256. Our financial planning advice and services are provided through Matrix Planning Solutions. The information provided on this webpage is intended to provide general information only and the information has been prepared without taking into account any particular person’s objectives, financial situation or needs. Before acting on such information, you should consider the appropriateness of the information having regard to your personal objectives, financial situation or needs. The information provided on this website is intended to provide general information only and the information has been prepared without taking into account any particular person’s objectives, financial situation or needs. Before acting on such information, you should consider the appropriateness of the information having regard to your personal objectives, financial situation or needs. In particular, you should obtain professional advice before acting on the information contained on this website and review the relevant Product Disclosure Statement (PDS). Relevant PDSs can be obtained by contacting us. No representation or warranty is made as to the accuracy, completeness or reliability of any estimates, opinions, conclusions or other information contained on this website. This website may contain certain forward-looking statements. Forward-looking statements are not guarantees of future performance and involve known and unknown risks, uncertainties and other factors, many of which are beyond our control. You should not place reliance on forward-looking statements. To the maximum extent permitted by law, we and Matrix Planning Solutions Limited disclaims all liability and responsibility for any direct or indirect loss or damage which may be suffered as a result of relying on anything on this website including any forward looking statements. Past performance is not an indication of future performance. The materials displayed on this site including without limitation all information, text, materials, graphics, software, advertisements, names, logos and trademarks (if any) on this site (Content) are protected by copyright, trademark and other intellectual property laws unless expressly indicated otherwise. You must not modify, copy, reproduce, republish, frame, upload to a third party, post, transmit or distribute this content in any way except as expressly authorised in writing by us or Matrix Planning Solutions Limited. You may view this site using your web browser and save an electronic copy, or print out a copy, of parts of this website solely for your own information, research or study, but only if you keep all content intact and in the same form as presented on this site (including without limitation all copyright, trademark and other proprietary notices and all advertisements). You must not use this site or the information on this site in any manner or for any purpose which is unlawful or in any manner which violates any of our rights or the rights of Matrix Planning Solutions Limited. This site contains links to third party sites. These linked websites are not under our control or the control of Matrix Planning Solutions Limited (Matrix) and neither we nor Matrix is not responsible for the content of any linked website or any hyperlink contained in a linked website. These hyperlinks are provided to you as convenience only and the inclusion of any link does not imply any endorsement of the linked website by us or Matrix. A link made to any such website is entirely at your own risk. The information on this website is provided for Australian residents only, and where indicated, may be limited to specific states and territories of Australia. The law applicable to New South Wales will apply to this website unless other states or territories are expressly provided.